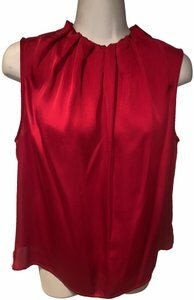 Worthington red sleeveless blouse. 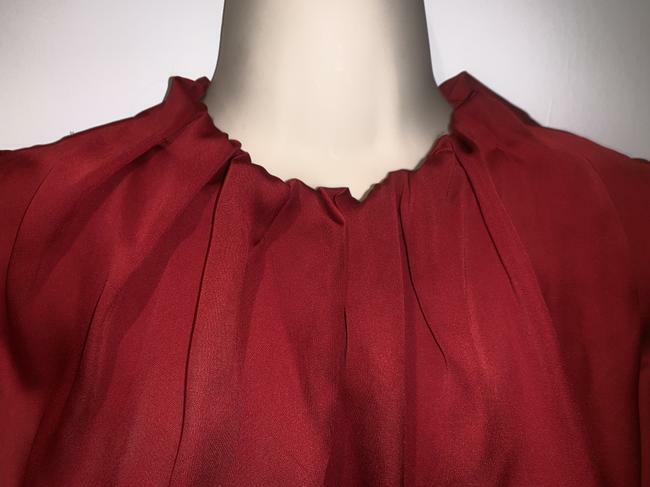 Size M. Pretty gathered draping details around the neck. 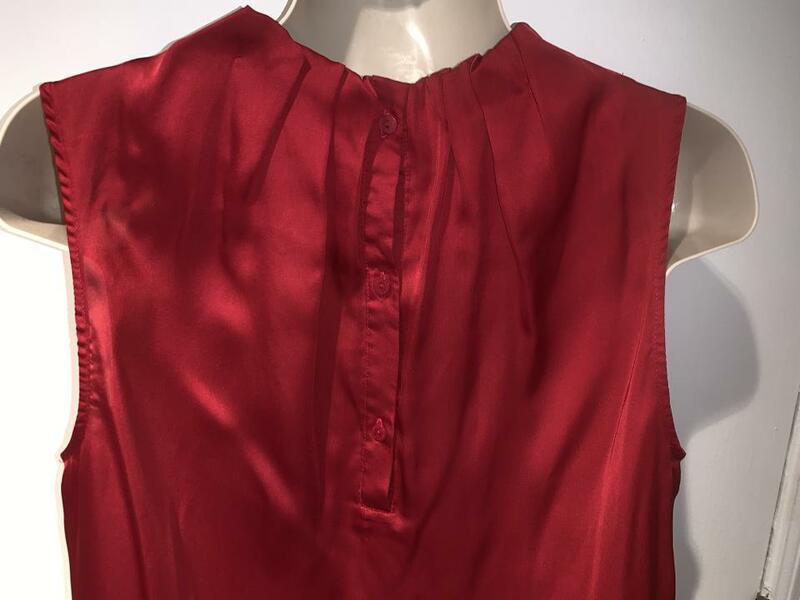 Closes via buttons in the back. 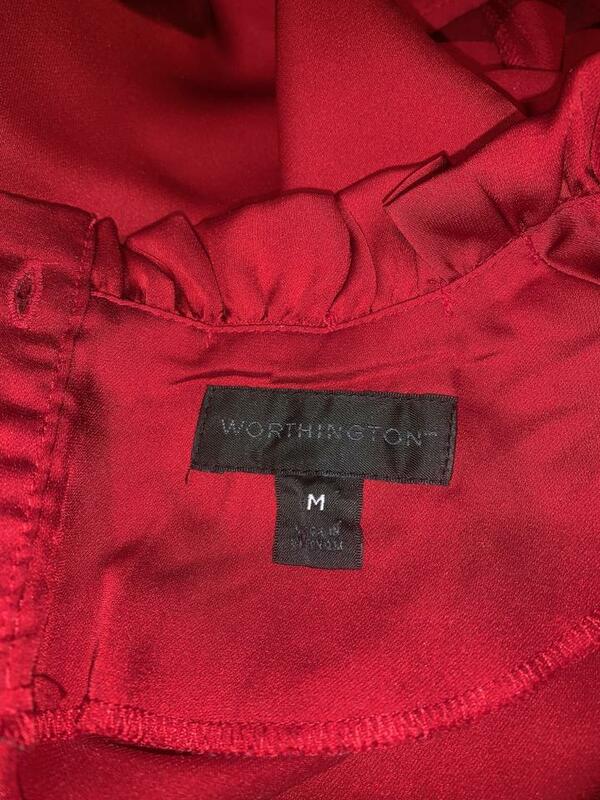 The material tag is missing but I'm guessing it is 100% polyester but has a very silk-like feel. In excellent condition.